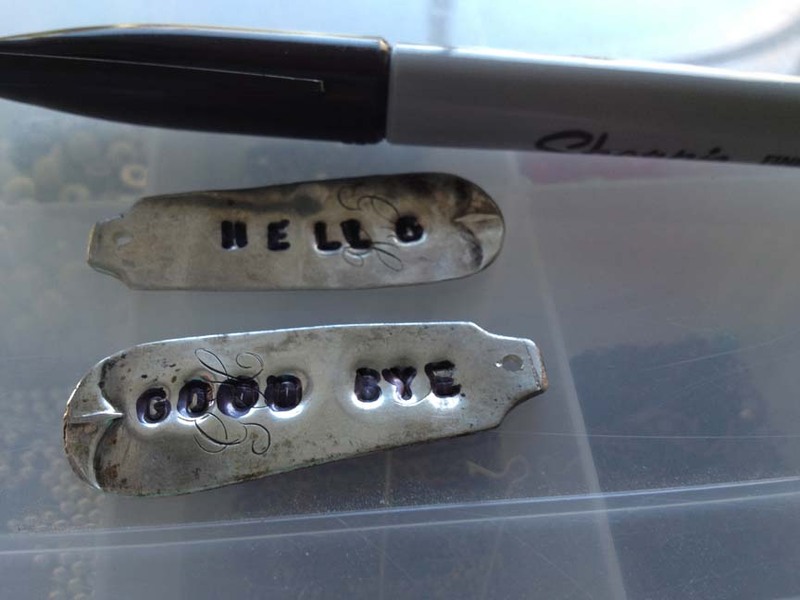 I was a crafting machine this weekend and tackled a project I’ve been meaning to try for some time now: spoon stamping! 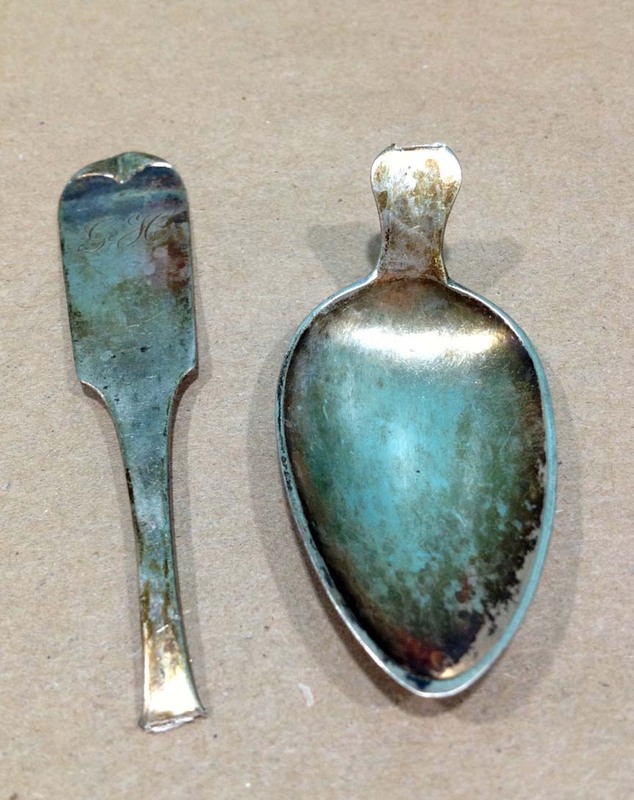 I have a bunch of old, silver spoons sitting in my craft room (not sure at this point where they came from) that I was able to break in half pretty easily, and from there went about flattening and stamping both the spoon and the handle. First off, break your spoon in half! You can bend it back and forth until it breaks, or get it started with wire cutting pliers. Both ways work. Both ways are fun. After all, who doesn’t like to break stuff? 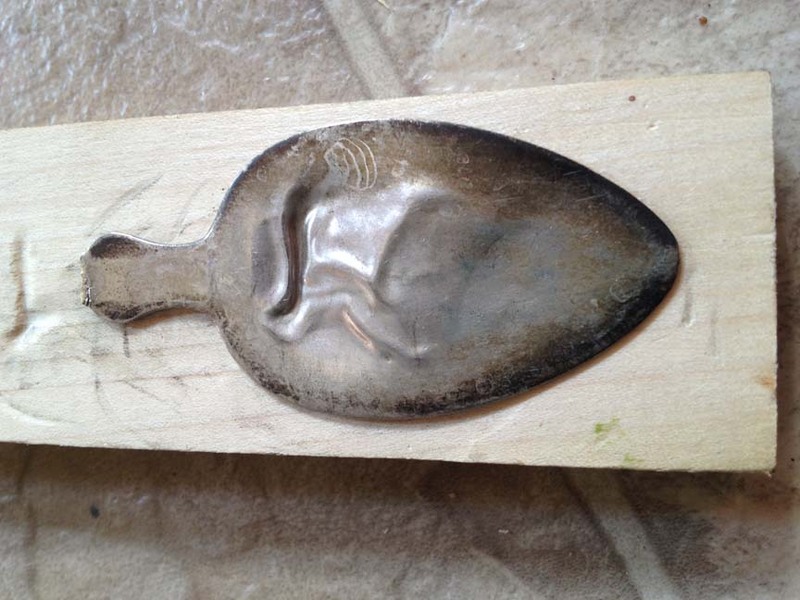 Your spoon will be rough where the break occurs, so sand the edge until it is smooth. Then, place your spoon onto a piece of wood. 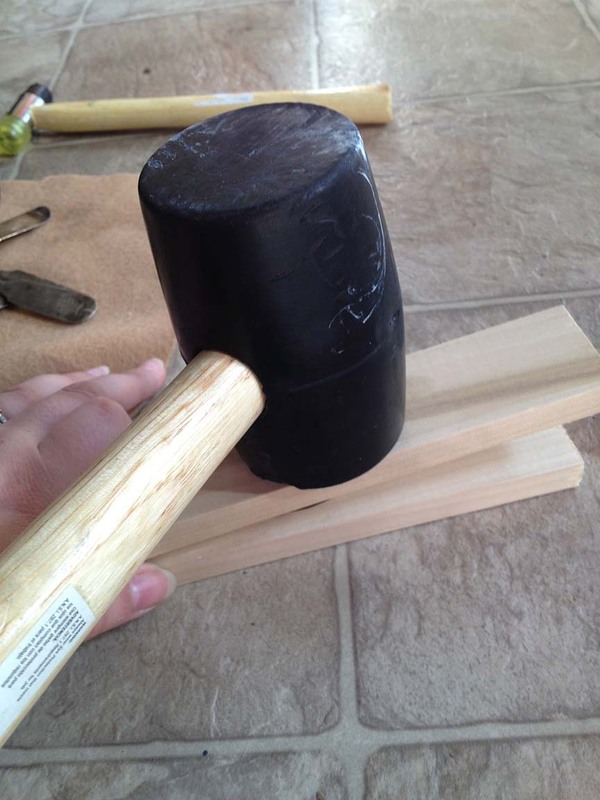 Sandwich your spoon with another piece of wood and tap on it with a rubber mallet to flatten in out. Once it is flattened, take the top piece of wood and tap your spoon with a hammer. This will help flatten it out even more. Note: My spoon is all sorts of wobbly in the middle, which I really like. I didn’t try to get all of the wrinkles out. With my spoon flattened, it was time to stamp it. I bought a small set of stamps off of Amazon, so I pulled those out and got to work. It was pretty easy… just place your stamp where you want it and hammer gently. If you hammer too hard, you’ll see little circles around your letters. 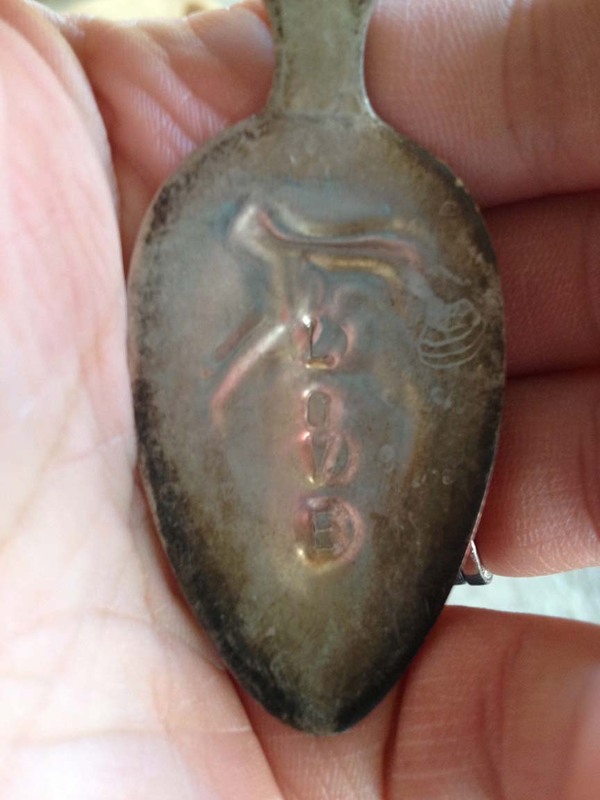 Once your letters are stamped into your spoon, you can fill them with sharpie and then clean off the excess with a dryer sheet or a jewelry cleaning sheet. Both work remarkably well for cleaning up old silver. Next up: drilling holes. 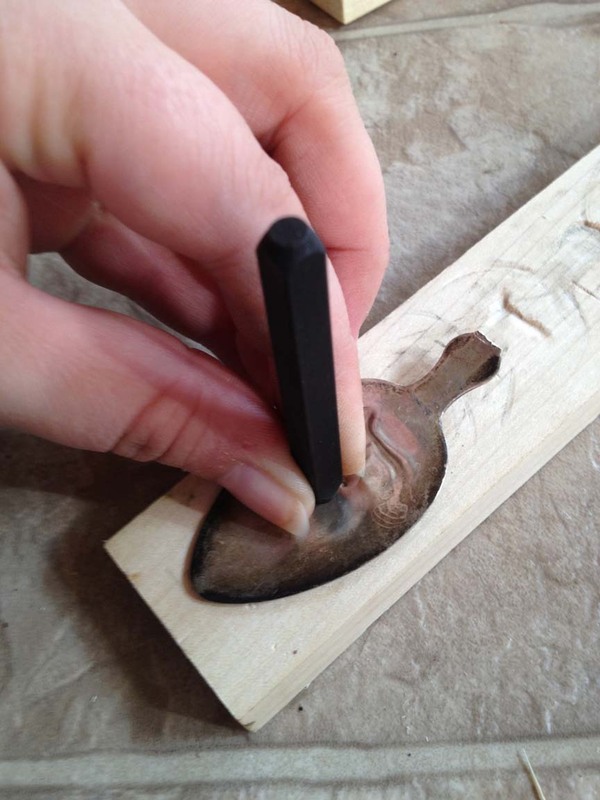 Clamp your flattened and stamped spoon onto your piece of wood and drill through the tops using a small drill bit. My electric drill is MUCH better at doing this than my cordless drill. 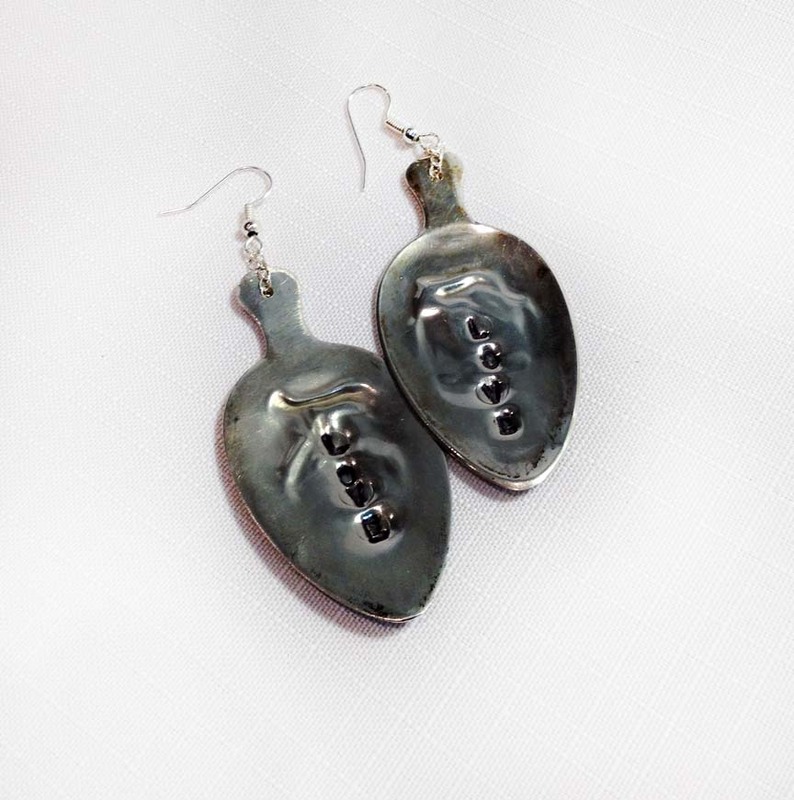 When your holes are drilled, attach them to ear hooks (I used chains to do this) and your spoon earrings are complete. 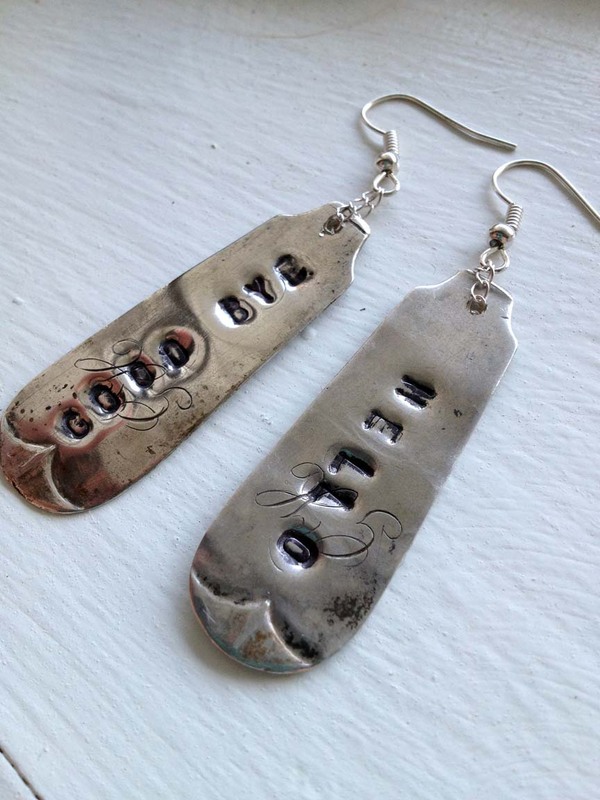 If you have cool handles too, you can turn them into earrings as well using the same process. These are so cute! I was wondering though, do they have to be silver spoons or will any kind of metal spoon work? They really just need to be cheap spoons that you can bend. If you can bend it a little with your fingers, I doubt you’ll be able to flatten it. We have really nice silverware from our wedding that is stainless steel, for example, that I never could have flattened. 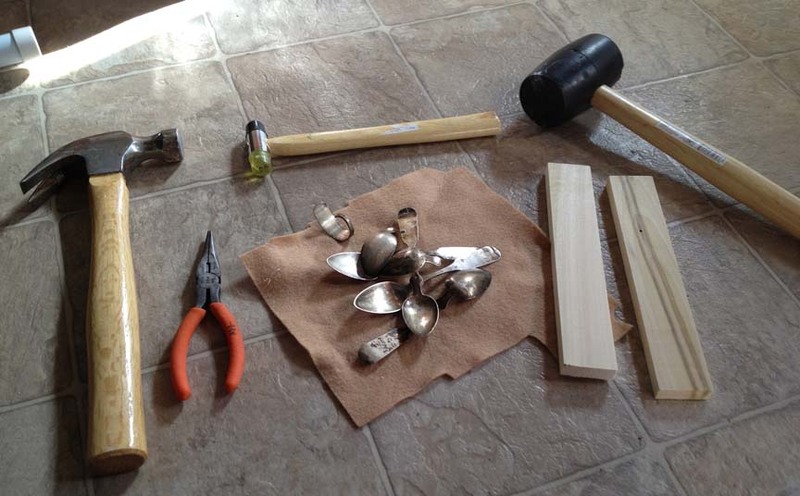 I was actually talking to my mother-in-law and she said she thinks those spoons are made of tin silver (poor man’s silver), which is really easy to bend. I bet you could find them on the cheap at a thrift store! Pingback: Tip del Capitán: 8 maneras de reciclar tus cucharas de metal - Son Cosas Mías!